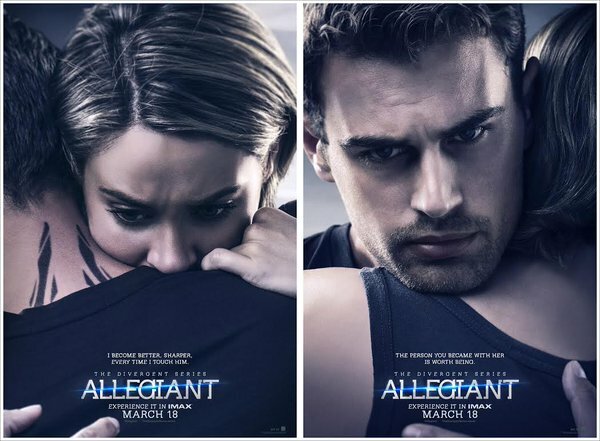 Earlier today, Lionsgate selected a lucky winner to reveal the two new posters from the upcoming film, we are all anxiously awaiting, The Divergent Series: Allegiant. After having over 58,000 hashtags mentions, that one lucky fan @dauntlessrebel exclusively revealed the posters feat. Tris and Four via her twitter account. What do you guys think? YAY, NAY? Honestly, Four's poster breaks me! See Tris and Four fight to survive the world beyond the wall and uncover secrets that will change their lives forever when the action-packed The Divergent Series: Allegiant open in theaters on March 18th 2016!